Recycled asphalt product is an economical, green, cleaner alternative to gravel. Did you know that asphalt is 100-percent recyclable? When we remove old asphalt pavement, we bring it back to our Eastern Virginia asphalt plant and process it to make recycled asphalt product (RAP), a rock-like substance that’s a versatile construction material. 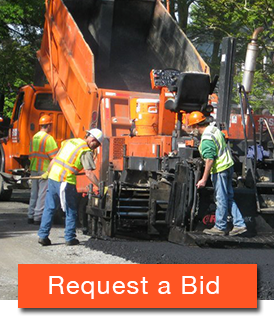 Basic Construction Company offers two sizes of recycled asphalt product: big RAP (1 ½ inch stone) and fine RAP (1/2 inch stone). Our recycled asphalt is properly crushed and screened, and it comes out as high-quality, cost-effective aggregate coated with asphalt cement. Why Should I Consider Using Recycled Asphalt Product? For starters, you can save a ton of money by using recycled asphalt product. For example, let’s look at gravel driveways. Most gravel driveways use #21 crusher run stone on them, however, recycled asphalt product costs less and works better than gravel driveways. A RAP gravel driveway is laid the same way as regular gravel but kicks up almost no dust, packs tighter under traffic, handles the elements better, and hardens over time, which provides you a surface which requires much less maintenance than gravel and that you can rely on for years to come. Want Some RAP? Call Basic Construction Company! Contact us for more information about getting a load of recycled asphalt for your next project or call (757) 249-3789 today. For larger quantities, please be sure to check in advance to make sure we can fulfill your request. To contact our asphalt plant directly for service and coordination call (757) 249-3801. Asphalt can be recycled over and over again without losing its physical values. At a rate of more than 99 percent, asphalt pavement is the most recycled/reused material in the United States. More than 3 million tons of recycled asphalt was used in asphalt mixes in 2009-2010, which saved 19 million barrels of liquid asphalt.